Modern architecture for your garden. 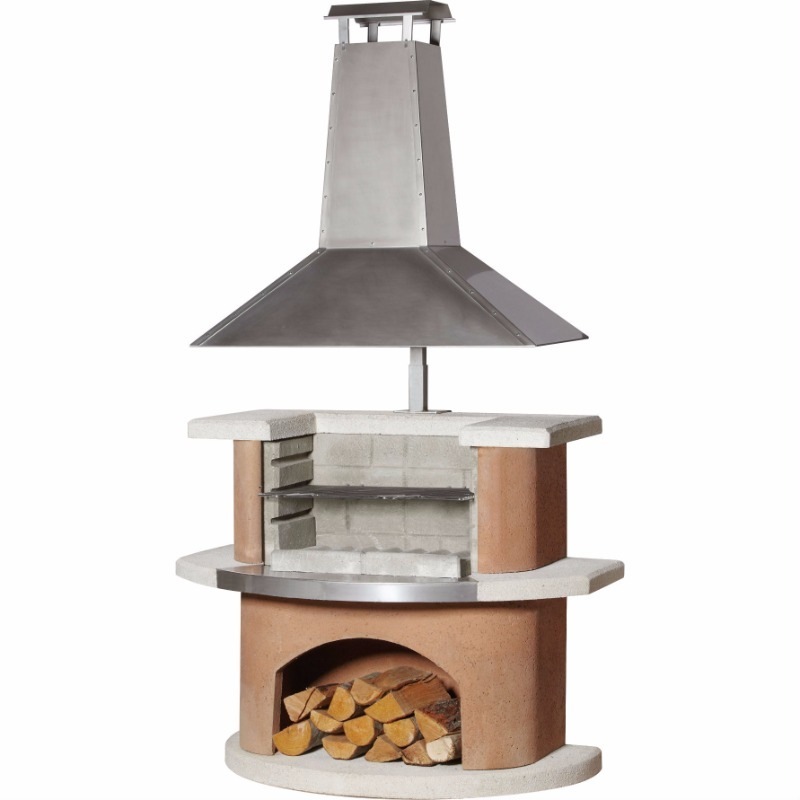 This garden barbecue fireplace gets its special appeal through the combination of the high-quality stainless steel hood surfaces and the terracota structured surface. 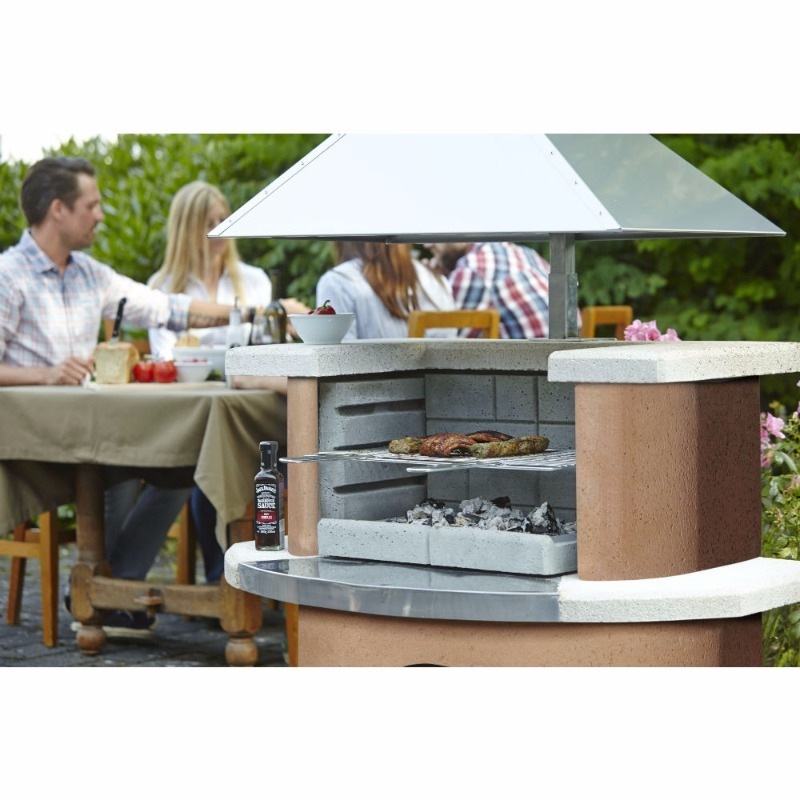 The height-adjustable hood enables unhampered work on the grill.